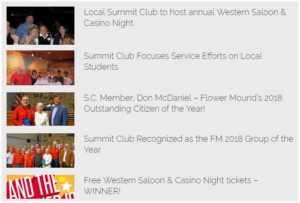 Who is the Summit Club of Flower Mound? We are a service organization comprised of community leaders and hard working men dedicated to serving others. Formed in 1974 as a non-political fraternal service organization, today we support many charities and organizations serving the Flower Mound community. 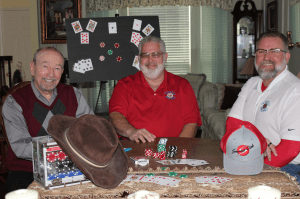 The Summit Club of Flower Mound is the oldest fraternal organization in town. We’ve been around since 1974 and every year since. We give back to local schools, students, charities, civic organizations, and our wonderful community.